One of the worst things about going out for an Indian is that generally people will choose the particular curry take takes their fancy and that's the height of their adventure for the evening which seems pretty limiting. Curries in general aren't a cheap meal either so it gets very expensive to order two main dishes to simple individually. Fortunately there are a number of Indian restaurants across Nottinghamshire that take the option of having an Indian buffet evening. We've previously enjoyed Moda Mitha in Mansfield for their Sunday curry buffet but it's a long way to travel when there are other options on our doorstep so last weekend we ventured into Arnold to sample Sitar restaurant's Sunday night Indian buffet which at just £8.95 per person sounds like it could be exceptionally good value for money. Despite living in Arnold all my life I'd never actually been to Sitar but the promise of a hearty, filling meal for just £8.95 sounded good in theory so we arrived and promptly grabbed ourselves a selection of poppadoms and the various accompaniments that usually go with them such as a mango chutney, some for of salad type mix and a raita dip. I'd have liked a dip with a little more spice personally but had I had my wits about me I would have used the sauce from one of the curries instead as a dip for my poppadoms. We were soon back up the the buffet to see what we could sample as starters. 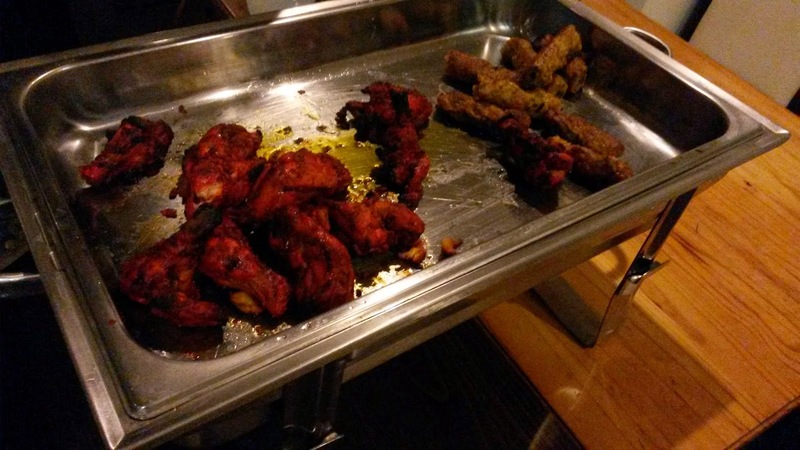 There was a nice selection of classics like onion bhajis, vegetable pakoras, as well some seekh kebabs and tikka chicken pieces for the carnivores. Coming away from the buffet with a selection of chicken pieces and seekh kebabs I made sure not to overdo the starter element of the meal. I've previously overdone things early on and suffered when it came to the main course which should usually be the highlight of the meal. Of the starters my personal favourite was the seekh kebabs which were nice and moist. Very easily devoured. THe chick itself tasted fine although I found it to be a little on the tough side. 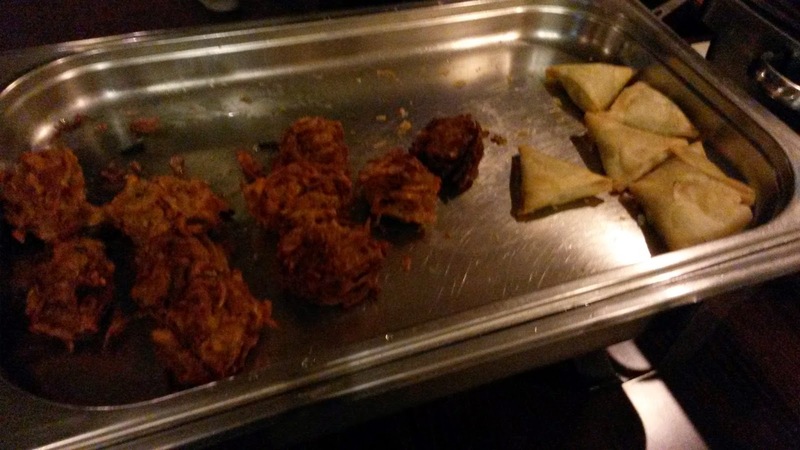 My friends assured me that the bhajis and pakoras were perfectly fine as they wolfed them down. Nothing mind-blowing with the starters but any buffet becomes about value and variety, not necessarily high quality. 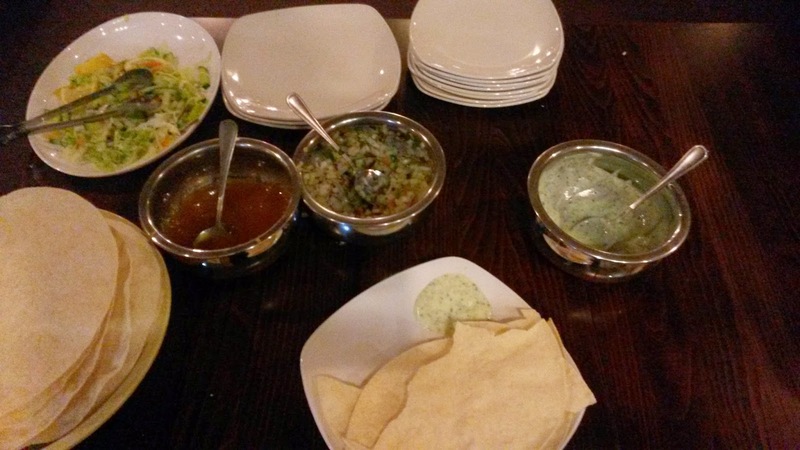 From experience an Indian buffet tends to work to a formula in terms of their curries. One curry will always be slightly hot, another medium and then there will always be a mild option and if you're luck there will be a vegetarian option. Sitar took that same approach and in fairness, it works. The Chicken Methi was labelled as 'Hot' although in reality it was just a slight edge hotter than a medium curry so would probably be a good option for most eaters. 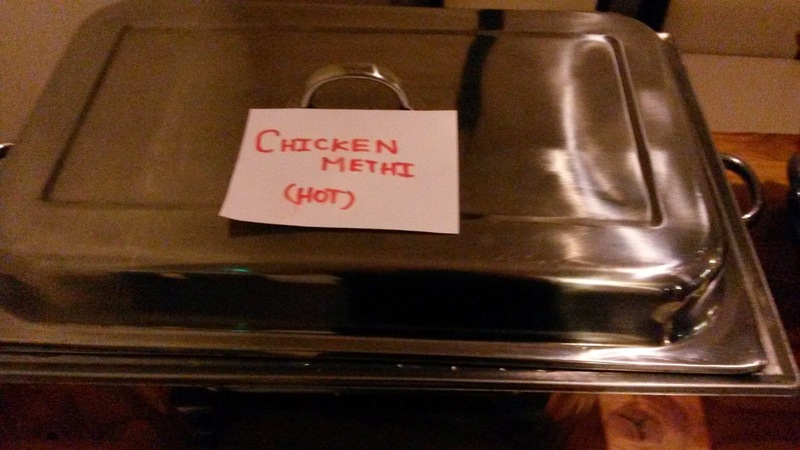 The Methi indicates the use of fenugreek as a flavouring and the chicken methi at Sitar was a nice, warming curry. Easy to eat without burning out your tastebuds although a little unimaginative if you were to choose it as a standalone dish. 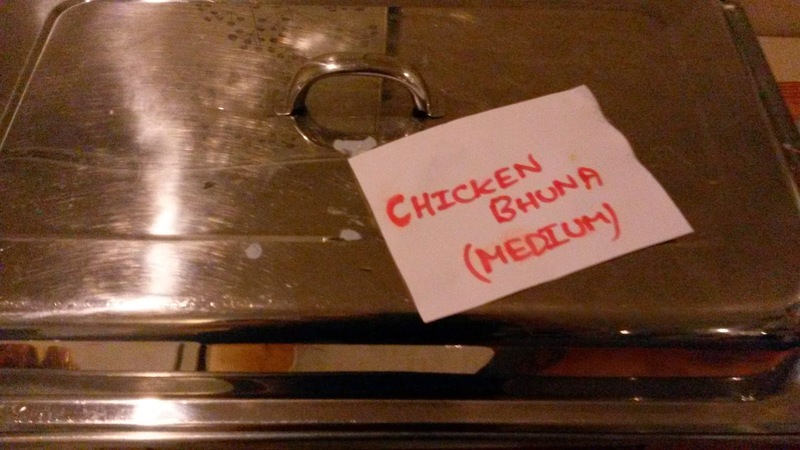 It worked well as part of the buffet when sampling multiple curries. I don't believe I'd had a Methi curry in the past so it was nice to try something new. It wasn't a curry that really got my attention flavours-wise but I'd happily eat it again elsewhere to see what other chefs' take on this classic is. 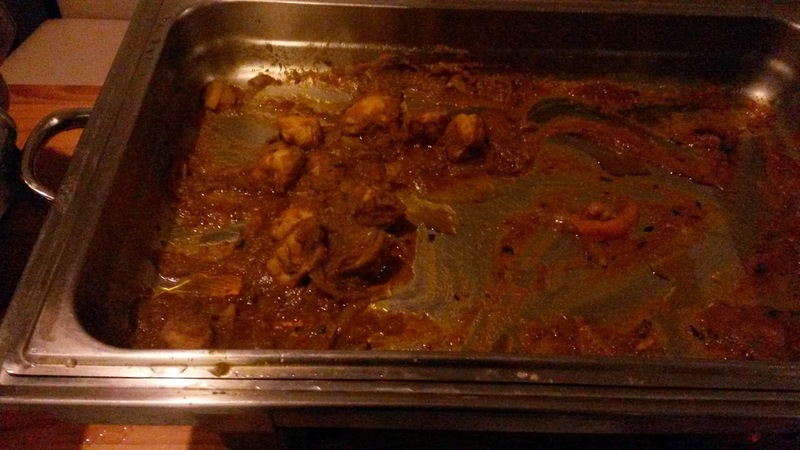 The medium option of the chicken bhuna was again an easy to eat curry. The bhuna is a nicely rounded curry which doesn;t really need to overheat you and works well with a little spice. It was clearly popular on Sunday night as was being regularly topped up from the kitchen. A Brittish favourite. Mild with lots of tomato and coconut the tikka masala is a great mild curry that takes flavour to a more enhanced level than a korma. At Sitar it was very heavily based on coonut to give a nice sweetness. Alongside the curries was a generous tray of pilau rice to keep us all in our carbohydrates as well as a plate plain of Nan breads which vanished as quick as they could could out from the kitchen. We chose not to go for dessert although there was a tub of ice cream to scoop out of should you or your children choose. 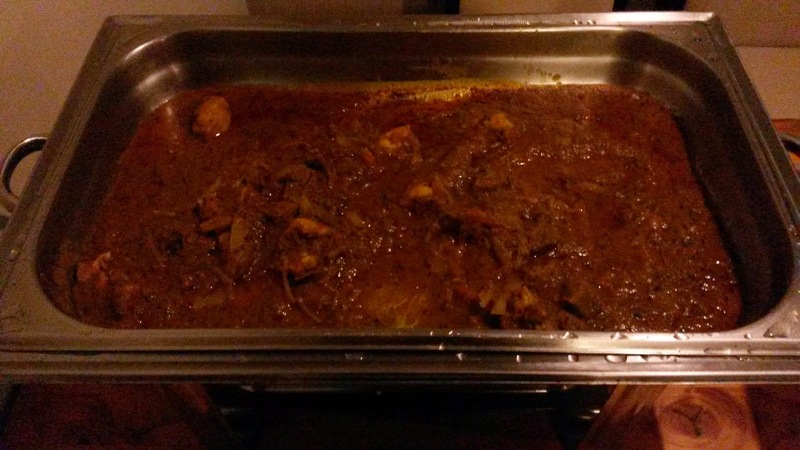 If you consider how much you were paying for food the buffet at Sitar, Arnold represents very good value for money for a hearty meal. 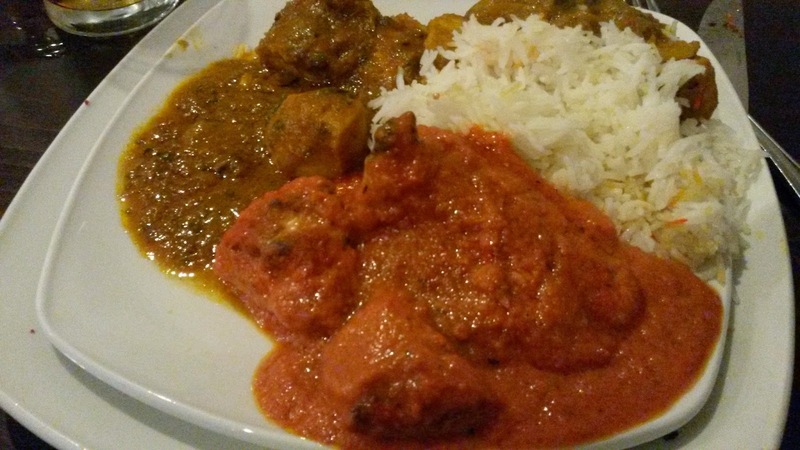 There's plenty to satisfy anyone looking for a nice selection of curries and with potential to try something new. The food was simple and well executed without being anything to stand out from the masses but everything was easy to eat. Would we go back? Yes definitely again for the Indian buffet although I'm not sure I'd go back on a regular night as the food didn't really blow me away. Well worth a trip on a Sunday night though.